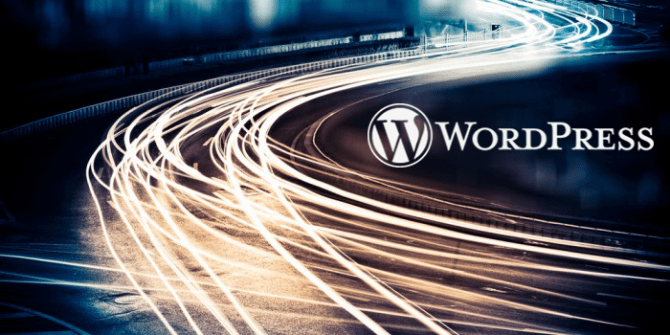 Have you tested how fast your personal or business WordPress website is recently? Does it take more than a few seconds to load? I think you already know a slow WordPress site is a terrible situation for anyone online. Visitors wont spend more than a few seconds waiting and then they will leave…off to your competitors to see if they can find what they were originally looking for. There is also the potential of Google recognizing this pattern in visitor drop off – and deliver a lower search ranking. So if you find your self with a slow loading website….what do you do? Fortunately there is a simple solution that shouldn’t require hiring a developer to get the job done. Today we are going to give some helpful advice to generally optimizing your website as a whole as well as some recommendations for several plugins to solve the most common WordPress slow loading issues. To begin, you should test each and every one of your installed plugins, as they alone can be the culprit and are potentially interfering with your site speed. Some plugins do not work well with others and you may need to find similar replacements. As you are re-installing each plug-in use a Speed testing tool, such as Google Page Insights to determine the effect on speed (if any) each plugin has. What is caching? To keep it simple this is what helps your website load faster by serving up the more easily digestible pages. For those that want to delve deeper into caching, here is a more in-depth explanation of caching. In terms of WP Plugin solutions for caching, W3 Total Cache is one very popular WP plugin that will assist you with caching issues as well as minification. It can also be a more technical set-up, so if you need a more user-friendly option you can look into WP Rocket however it is not free. There are some hosts that do not allow caching in a shared hosting environment, which isn’t good. You should consider switching to a host that utilizes its own caching which could be even more effective than any of the above plugin options. One could say website images are the single biggest reason for slow website speed. If your images are not optimized correctly your website becomes almost unnavigable. Have you ever looked up a product online but weren’t able to scroll down because the image just hung there and never loaded? If so you know what we mean. The solution to this critical issue it to optimize each and every image for your website as they are uploaded. One such tool that is very helpful is WP Smush, which will reduce the image size while keeping intact the image quality. Another option is EWWW Image Optimizer. Dont overlook something as simple as image optimization for your WordPress site, this one can truly the most value/performance of all of the above!